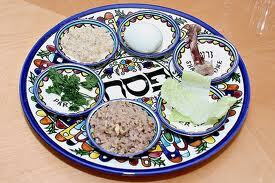 The following are several religious concepts which have inspired interesting discussions at many Seder tables. Nisan, the month of miracles: “This month shall be the head month for you. It shall be the first month of the year.” (Exodus 12:2). Rosh HaShanah, the Jewish New Year’s Day, takes place in the month of Tishrei, the seventh month of the Hebrew calendar. However, it is Nisan, six months later, that is the head of the Jewish calendar. How can this be? The Torah teaches us that there are two beginnings: Rosh Hashanah, the natural beginning of the world, for all creatures; and the miraculous month of Nisan, the beginning of the Jewish people. Kur Ha Barzel: The Iron Forge: Passover commemorates the birth of our nation. The midrash, the compilation of the Oral Torah, explains that in order for the Jews to truly understand their freedom and develop a national purpose, they had to experience the Kur Ha Barzel, the iron forge, a metaphor for the slavery they endured in Egypt and their miraculous redemption. Just as a blacksmith perfects his blade through hot coals and fire, so too did G-d forge his people through the hot coals and fire of slavery. Had G-d simply handed the land of Israel to Jacob and his sons, we may not have appreciated the true value in the gift. We also may have lacked national purpose and unity. Instead, we were liberated from slavery, witnessed the strong-arm of G-d through the plagues and the many miracles He preformed for our benefit during our escape. For The Sake of Righteous Women: Women play a crucial role in the exodus from Egypt. Our sages tell us, Bishveel Nashim Tzidkaniot Nigalu Avoteinu Mimitzrayim, which means, “Our forefathers were redeemed from the land of Egypt for the sake of righteous women”. It was Jewish women who kept having children despite Pharaoh’s threat to drown the baby boys. Jewish midwives risked their lives to save male infants, and it was Miriam who watched over her brother, Moses, as he floated down the Nile and then arranged for her mother to nurse him. Across the Red Sea, it was women, the Torah says, that erupted in spontaneous joy and began singing and dancing in praise of G-d for their miraculous deliverance from the hands of the Egyptian army. In the desert, while the rest of the children of Israel lost faith in Moses and in G-d, and began worshipping a golden calf, it was women who refused to participate and who refused to allow their gold and silver to be used to make the pagan idol. Years later, in their merit, it was the jewelry of Jewish women that was used to fashion the kiyor, the mirrored sink, that was used in the mishkan, the desert tabernacle. The Hardening of Pharaoh’s Heart: G-d grants each human being the freedom of choice, a free will, and in this way we are judged. But the Torah’s Exodus narrative describes that subsequent to each plague Pharaoh is ready to relent and let the Jewish people go. But, each time G-d hardens Pharaoh’s heart and he changes his mind. So, one may ask, did Pharaoh have freedom of choice? If G-d hardened Pharaohs heart, was he responsible for his actions? Our Rabbis explain that Pharaoh indeed had freedom of choice. In fact, they argue, if G-d did not “harden Pharaohs heart” Pharaoh would not have had freedom of choice at all. Because, who wouldn’t let the Israelites go after witnessing just one of G-d’s signs. By hardening Pharaoh’s heart, G-d actually leveled the playing field. With his heart hardened against the most natural and automatic response of letting the slaves go, Pharaoh was presented with an actual real, palpable choice. Pharaoh’s true self and true heart was able to emerge, and the answer was always no. Strangers In a Strange Land: The Torah says that we must be kind to strangers in our land, for we too were strangers. It is remarkable that the Torah should make such a comment. The Jews weren’t just strangers in Egypt. We were slaves for 210 years and were made to endure two centuries of abuse. There is a beautiful midrash, a parable which is part of our oral tradition, that helps explain this commandment. Even during the holiday of Passover, where it is easy to get caught in the drama of the story and rejoice at Israel’s victory over their enemy, we must also remember that the Egyptians besides being G-d’s creations, fed and sheltered us during the famine. © 2019 Everything Israel. All Rights Reserved.